We are here to give assistance to any eligible person, couple or family who is in need and fits our criteria. Our support is usually financial, to help with an immediate crisis such as an unexpected bill or other expense, or it may be to help by supplementing income on an ongoing basis to meet regular outgoings. We can assist by offering a helping hand to put you in contact with the right agencies who will be able to deal with other concerns. This may include help with financial management or debt counselling, drug, alcohol or other addictions, or with the purchase of equipment to meet specific needs, such as a motorised wheel chair, low vision aids etc. We can arrange to visit you in your own home to discuss your individual circumstances. There is no charge for the visit and all your details are kept confidential. We will consider any application for help. Please contact us in any one of the ways listed on our ‘Contact Us’ page. What they do: The Association of Optometrist’s Peer Support Line is a confidential, free-phone helpline for individuals to discuss their problems or worries, big or small, work related or personal, with a trained empathetic peer who recognises the pressures of optical practice. Calls are answered 24 hours a day, with volunteers on duty to return calls between 8am and 8pm. Calls are completely anonymous and only a first name will be requested (callers can use an alias is preferred). 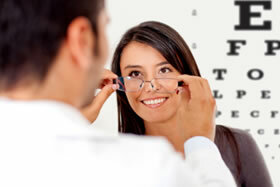 Who they help: Optical professionals at any stage of their career, from students to retirees. Non-AOP-member callers are welcome to use the line but should note that conversations may involve signposting to AOP services, where helpful and relevant to the subject matter. Callers are free to mention this to the volunteer who may be able to signpost them to an alternative source of support. How to get in contact: Call 0800 870 8401 where your call will be answered by our call handling service who will then put you in touch with a volunteer.